I love watching MasterChef Australia and have followed the show since the very first season. The contestants share an unrivaled passion for food, delivering some of the finest dishes in the program’s history. These are ordinary people who can do extraordinary things for the love of food, inspiring so many foodies. 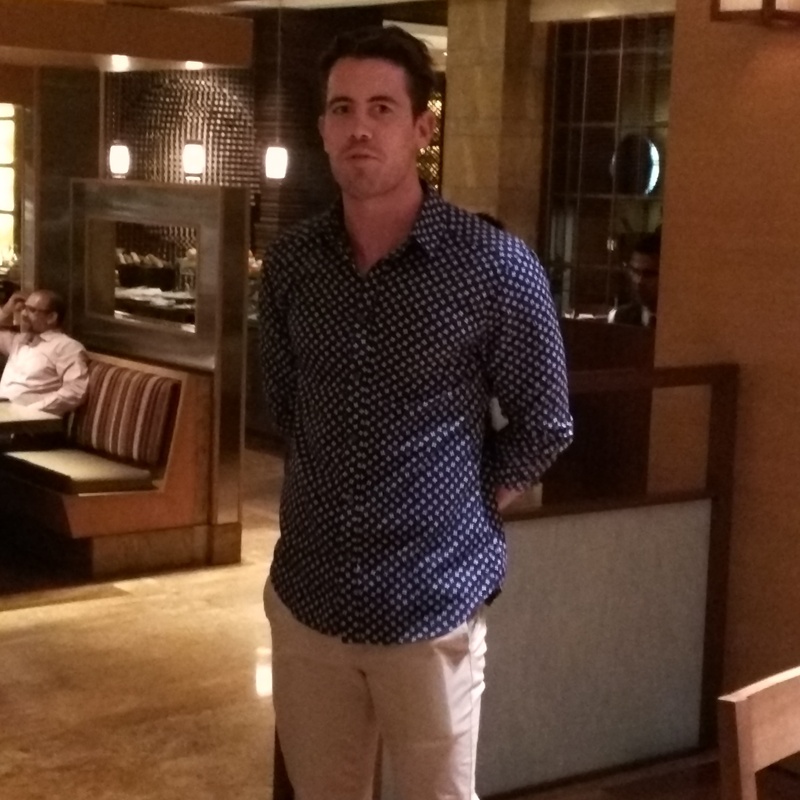 The season 6 winner and one of my favorites, Brent Owens is currently on his maiden trip to India, promoting the seventh edition of the show. 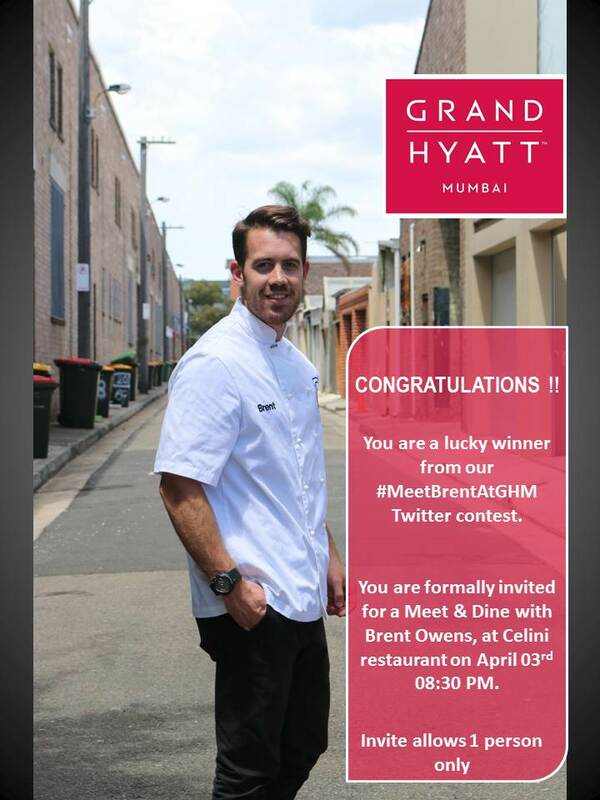 I was lucky enough to interact with him, when he was in Mumbai, after winning a fun twitter contest for Food Bloggers – #MeetBrentAtGHM, hosted by Grand Hyatt Mumbai (GHM) and Food Bloggers Association of India (FBAI). I reached Celini (GHM) much before time and waited for Brent, with so much enthusiasm. The warm, down-to-earth and charming Brent Owens greeted us and welcomed us to the dinner. 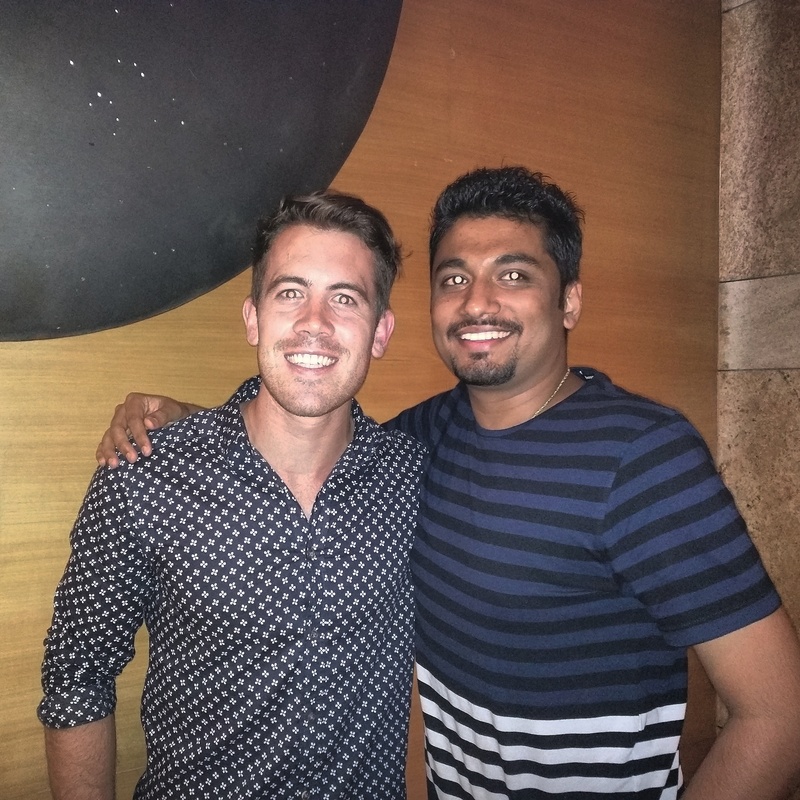 We started off by talking about Brent and his MasterChef journey, his India trip, dishes he’s tried etc. Let me tell you, he’s a real foodie. For a couple of day’s that he was here in Mumbai, he had pretty-much covered a lot of dishes that Mumbai is known for. From Dosas to Faloodas to Chaat (Dahi Batata Puri being his favorite), he had tried it all. This was very impressive! Brent had put together a 4-course menu specially for us. Indulging in MasterChef Australia inspired food, specially curated by the MasterChef himself, is something that I was really looking forward to, and trust me it was completely worth it! First on our table was the Lobster and Asparagus Garden with Parsley Pesto Potato. 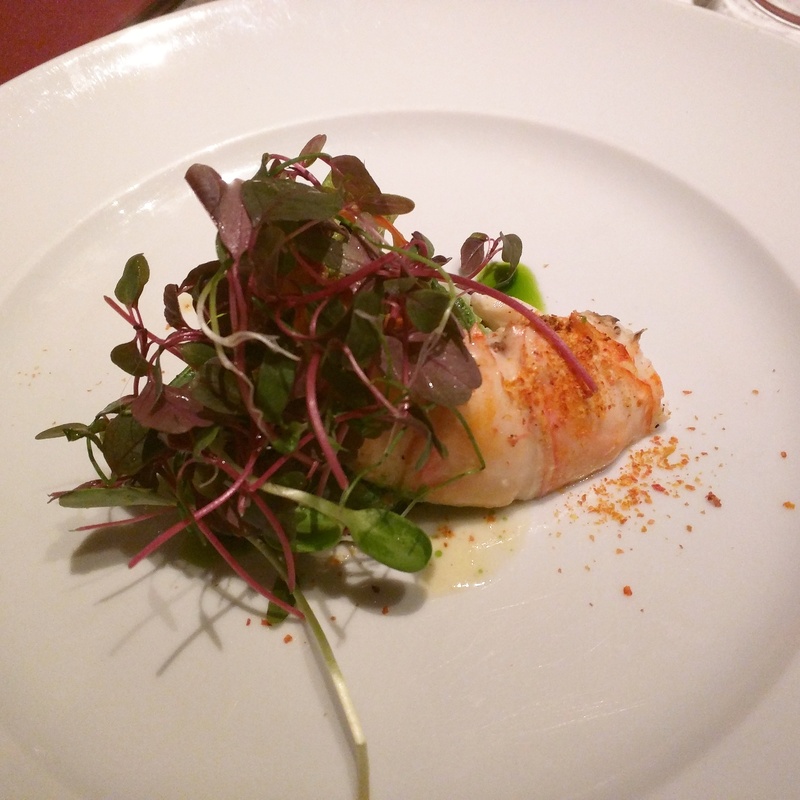 The juicy lobster, the pesto flavored potato slice and the micro-greens complimented each other so well. If you know me personally or have followed my blog posts, you might have guessed by now what I might have liked in this dish. 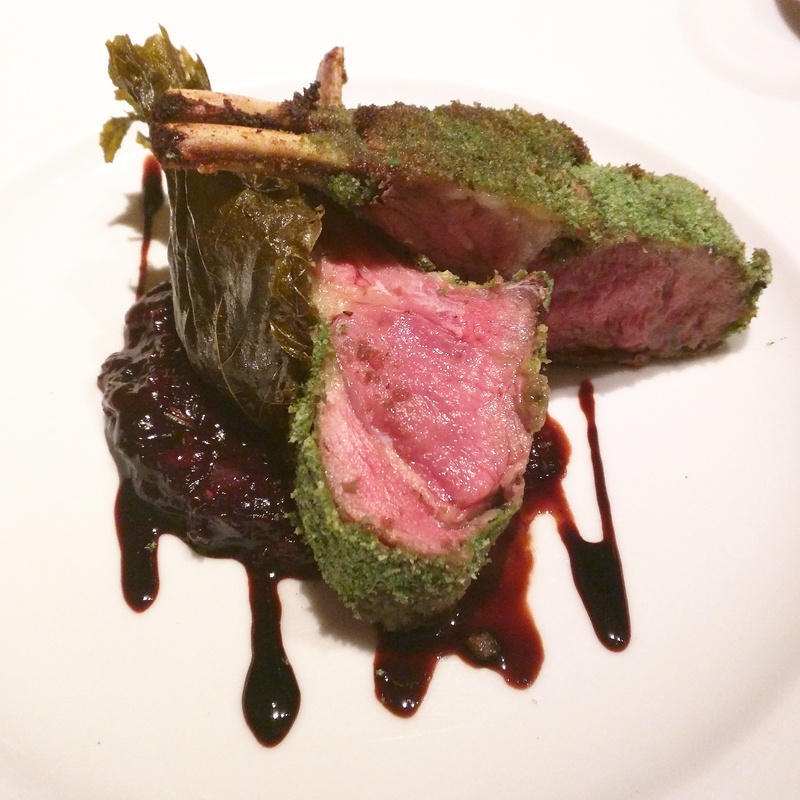 But no, it’s not the lobster, for me the star of the dish was the pesto flavored potato slice. I loved the combination and wanted more! Next on our table was the very unusual soup- Cold Sour Topinambur, Leek Cream with Smoked Salmon and Caviar. I have to admit that this was the first time ever did experience a ‘cold soup’. 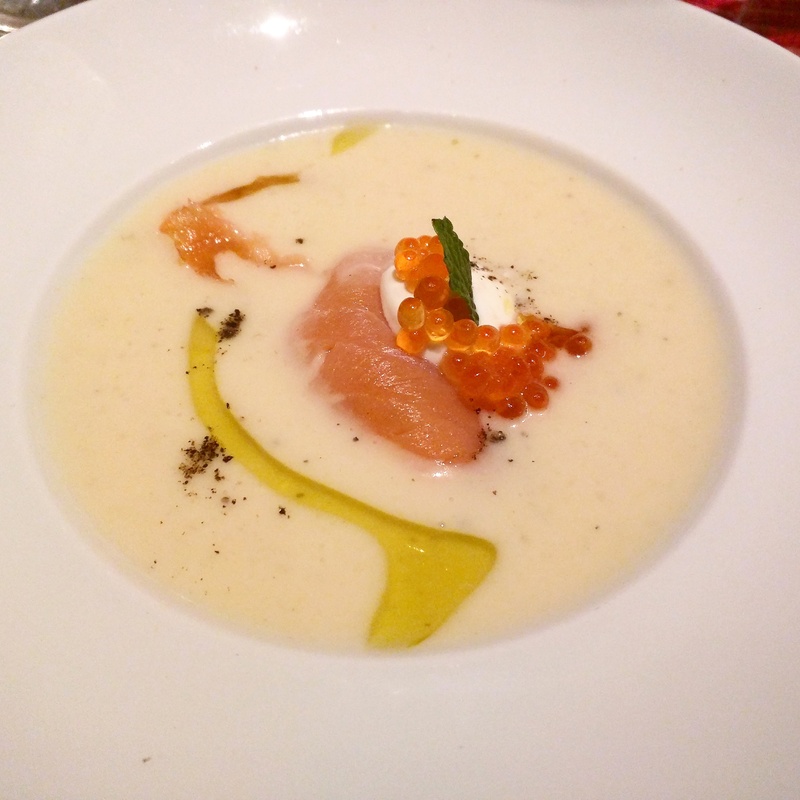 Loved the creamy texture of the soup, with the added flavor and crunch of Smoked Salmon and Caviar. What a master piece by the MasterChef himself. The menu had a lot of interesting vegetarian dishes, but none of us opted for vegetarian as all of us were pure non-vegetarians. 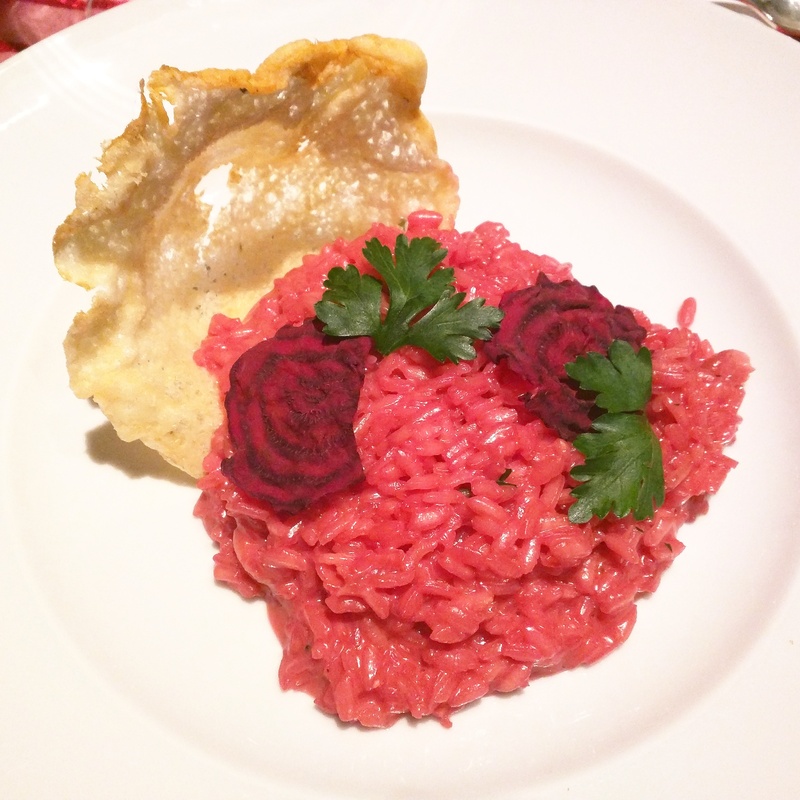 But what immediately caught my eyes was Beetroot and Port Wine Risotto with Crispy Parmesan Flake. I loved the Risotto for its gorgeous pinkinsh-red color and the creamy texture, because of the right amount of cheese. The rice tasted really yum with the Crispy Parmesan Flake, which in my opinion was the star of the dish. 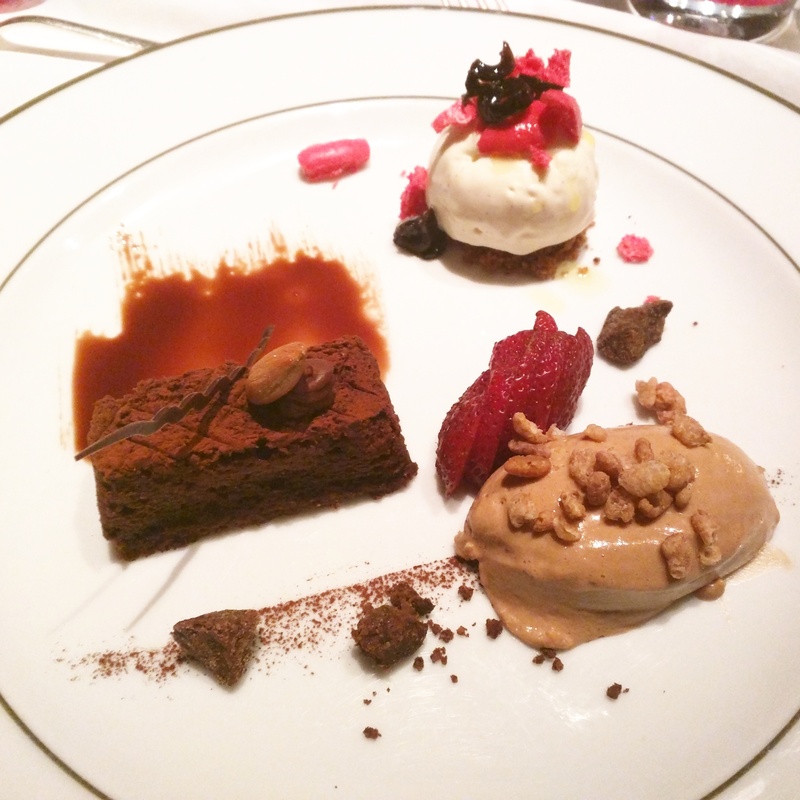 And next was finally the desserts – Trilogy of Desserts (Moist Chocolate Cake, Milk Chocolate Mousse with Oats Crumble and Olive oil Ice-cream). I had never heard of Ice-cream made of Olive Oil and boy this lil-savory-lil-sweet ice-cream with a dash of olive oil was delicious. Though the Moist Chocolate Cake was not so moist, I loved how this dark chocolate cake tasted with the olive oil ice-cream. Actually, every dish that I got to indulge in that evening was super delectable and the Milk Chocolate Mousse with Oats Crumble, was no exception. The crunchy oats crumble complimented the smooth milk chocolate mousse, so well. All in all, this was a happy evening with the charming MasterChef Brent Owens and delicious food. This was indeed one of the evenings that I’m not forgetting forever. Look out for a fun Q&A with Brent, on the blog soon!